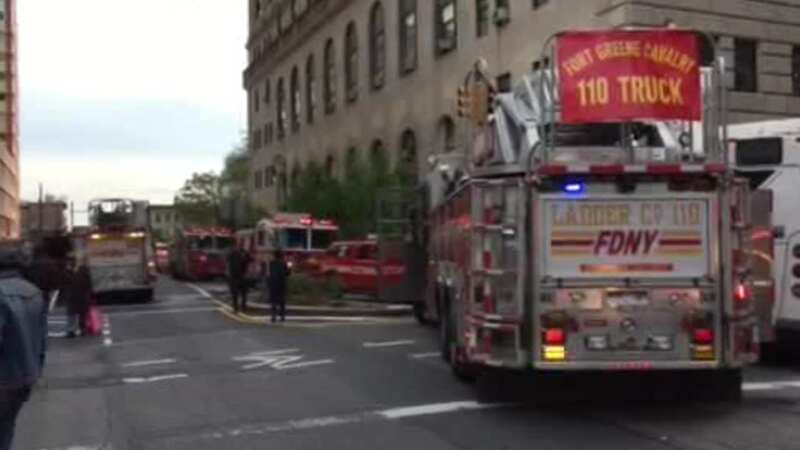 BROOKLYN -- 10 people are recovering from smoke inhalation after fire broke out inside a courthouse in Brooklyn Wednesday. The fire started in the afternoon on the sixth floor of the 13-story building on Schermerhorn Street. The building was evacuated, but not before eight court workers suffered smoke inhalation along with two firefighters. The fire was contained to the sixth floor.